I don’t know what it is about this place. Maybe it’s the light, maybe it’s the space, or maybe it’s just about being in the middle of nowhere that makes the magic happen. Writers come here to close the door on the rest of their world, to leave the kids for a while, to leave someone else to walk the dog and clean the house for a change, to give themselves the time to write thousands and thousands of words. It’s almost always women who come here to write. I love to feed them, trying out recipes, usually for the first time, from the many cook books I’m sent as a food journalist. And as I potter in the kitchen in the heart of the house, one of the writers will leave her room for a while to pull up a stool and chat as I chop. It’s always about the writing; we pull faith apart as I glaze the beetroot with tamarind (Mildred’s Vegan), sibling rivalry as the dhal makhani slowly thickens (Midlife Kitchen), and debate dystopia v utopia over a black bean and orange tagine (ditto). But as the house fills with the smell of spiced orange and stories of psycho killer spy mothers and bullying bloggers, it’s the Dreamwriting that thrills me most. Before the writers retreat to their rooms, we start the day with a guided Dreamwriting session. Poised with pens on paper, fingers on laptops, they wait for my prompts to lure the fragments of ideas from who knows where. As the stories appear on the page, I lob in a screech of an owl, an unpleasant smell or a silhouette against the moon every few minutes which they weave into their tales or ignore completely. After twenty minutes, I tell them to stop. In turn, they share what happened on their page or screen, and some, like Jo Winwood, will read what they’ve written. This is Jo’s unedited Dreamwriting as it appeared on her screen in just 20 minutes on Saturday morning. I’ve bolded the prompts. Diana stood perfectly still, her face tilted towards the sky. Moonlight heightened the shape of the trees, dark skeletal fingers reaching towards the heavens. The silhouette of her sister came into view as Georgia strode between the trees. Her figure seemed diminished, shortened in the night so she was not the strong woman Diana knew but a small, gnomish figure. From a distant stand of trees, the sound of an owl calling, answered shortly afterwards by another in the distance. Diana remembered myths about owls leading brave warriors on quests and wondered what the owls were talking about. She watched as Georgia headed towards the shed at the bottom of the wood. This was where their father had spent his weekends, tinkering around with bits and pieces, rummaging through tins of nails and boxes of screws. Diana had loved joining him, arranging his tools and watching him work. He was not the most accomplished handyman but he took great care of what he did, frowning with concentration as he glued, screwed and shaped. Diana walked towards the shed, taking care where she placed her feet. There were roots waiting to trip up the unwary and she didn’t want to fall. Something soft and giving popped under her foot and the smell of decay rose to assault her nostrils. she winced and hurried between the trees towards the shed. there was no sign of Georgia but a strange car was parked in front of the shed. Diana approached cautiously, peering in through the windows. The car was empty. 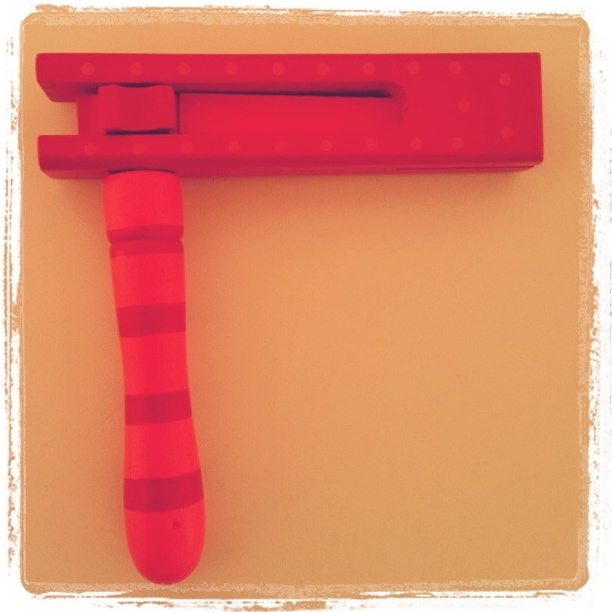 It was old. Like the cars her parents had driven when they were children. There was rust at the wheel arches and a fine, silvery dust coated the faded paintwork. On the back seat were two cushions and a crocheted blanket exactly like the one her mother had taken into hospital on her last visit. Diana reached out for the door handle and pulled. The door swung open with a squeak and the aroma of cigarettes and leather sent her reeling backwards. The first flicker of daylight hit the number plate of the car and tears sprang into Diana’s eyes. This was the car her father had taught her and Georgia to drive in, the first car he had ever owned outright and it shouldn’t be here in front of the shed. Everyone has a different way of writing; some people find Dreamwriting inspires new ideas in notes or bullets, while others find it useful to explore back stories to the characters they’re working on. Others find it gives words to pain they’ve been unable to express. It’s dark and quiet again now in this house in the woods, and the Dreamwriters are nearly home. They’ll write in their own rooms and share their words, blocks and epiphanies in their online groups until they come back and we start the day again with their dreams. I can’t wait. Burning the bad stuff; the writers pen the poisonous thoughts or self limiting beliefs and burn them, usually at the fire pit, but in this cold weather, the log burner will have to do. In my other life as a food journalist, I meet food writers, chefs and people who change the world through food, and you can hear many of them here. So I’ve invited them round to host food writing and cookery retreats in 2018. Food memories, identity and delicious dishes are all on the menu, starting with the effervescent queen of cocktails, Thai cook, delicious magazine regular writer and author Kay Plunkett-Hogge. Click on on the retreat tab to find out what’s she’s cooking up in March. And if you’d like to keep in touch with all our writing and yoga retreats, do email me on gilly@gillysmith.com. Way back when the house was just a shell, I used to dream of a weekend like this last one. I’d fill it with amazing women, fabulous food and we’d talk and read and hang out, helping each other with the cooking and the washing up. We’d walk through the woods and sit around a fire-pit at sunset, teasing each other about the Bridget Jones moments of our lives and reminding each other of the times when we won – against all the odds. It would be the ultimate in a girls’ weekend away. So when my pal, Tanja Gangar sent me a Facebook message from her Indian ashram where she was studying to be a yoga teacher to ask if we could have a women-only yoga retreat when she got back, I grabbed the diary. ‘Let’s do Hallowe’en’, I said, imagining a covern of witchy magic where she could show us what she’d learned on her mid life gap year. But what happened was much more than my original dream. Tan had gathered a group of women of ‘a certain age’ who shared that thing that belongs to women who have lived a while. A certain age; it’s an odd phrase. We’re certain about so much at 40 plus, but the phrase suggests that we’re hesitant about the time it took to get here. We love those Bridget Jones stories, but worry about the lines that were carved when they weren’t quite so funny. We define ourselves by other people – kids, partners, friends, parents – whether we have them or not, and, faced with a world without them, we freeze in fear of the long road ahead. How to love again when your heart is broken, how to live again when your home is empty, how to let go of illnesses you’ve conquered but hover like the shadow they once were. I don’t know how Tan’s own brand of GangaMa yoga managed to tease all that out of our group – and more. As we stretched and found ourselves in positions we didn’t think were possible, maybe we opened up those magic chakras where all the juicy stuff lives. Maybe the auming and humming and twisting and folding made us feel all the bits of us that we’d forgotten to feel, and the Universe approved. As Tan stood in tree pose on Sunday afternoon, she remembered that it was Divali, and with that thought, the light poured into A Sussex House, bathing us in sunshine. We threw open the doors, letting the outside in, and breathed in the first day of the rest of our lives. GangaMa yoga is a yoga practice for women of a certain age. We’re certain about some things and we know nothing about the rest. And that’s ok. And you read it here first – GangaMa with Tanja Gangar will grow. It will find women who want to retreat to the middle of nowhere and stretch and fold and twist until they cry or laugh or simply sigh. They’ll cook together and share their Bridget Jones stories as they wash up afterwards. They’ll forgive their kids, partners, friends, parents and throw their affirmations into a fire under a sunset sky. They’ll walk through the woods and see the magic of a herd of deer cross their path. It’ll be the ultimate girls’ weekend away. Ah for an Indian summer. Just when you thought it was all over (the rain, the damp expectation blues of a British summer), Tan – by name and nature – one of my most inspiring chums emails from India with news of her yoga retreat on the last weekend in Oct. Tan took a year out of life in the fast lane living in Brighton and working at The National Portrait Gallery and went to see what she could find of her self in ashram life in India. Here she tells something of the life changing experience that India and yoga has given her this last year. For more info on how to sign up, pop over to the Retreats tab and scroll down for details of her amazing retreat at A Sussex House. Having completed nine months of my Mid-Life Gap Year, I’m currently teaching yoga classes at the famous Parmarth Nikiten Ashram, one of the largest yoga centers in India. The Ashram offers a wide variety of yoga courses for thousands of international visitors a year and two regular sessions daily for the many native and International yoga enthusiasts that visit the Campus all year round; so my classes are always filled with an eclectic mix of students from every continent, who seem to like my unique mixed-up style, a collection influences gathered on this crazy journey I’ve been on…I’ve even built up a bit of a fan-base too. With only a few weeks left, I’ve been trying to gather as much learning as I can and just finished one of the traditional Hatha Yoga courses here with the incomparable Hatha Guru Induji, who teaches yoga in the strict, classical style, through asana and pranayama practice, chanting and meditation. The course promotes the acknowledgement of yoga as the union of body mind and spirit and the expectation that students attending respect this by agreeing to wear only white, eat only Sattvic (calm) foods and do their share of Karma Yoga (cleaning duties). Also my amazing yoga master, Parveen Nair whom I did my teacher training with in Goa, has been offering extra intensive classes between his recent teacher training courses here in Rishikesh, and I’ve thoroughly enjoyed learning from him again; a yoga master and former disciple of BK Iyengar himself; He’s a very tough instructor who pushes you to your limits and really knows how to take you out of your comfort zone. So, returning home in month I’ll be ready to impart almost a year’s worth of collective knowledge and wisdom to my fellow UK yogis and hope to raise some of the amazing inspiration and enlightenment that I’ve gathered on my huge yoga adventure here. Rattle Tales (Brighton’s premier spoken word group) recently rolled up at A Sussex House for a weekend writing retreat. We’d done day workshops before but this was our first overnighter. 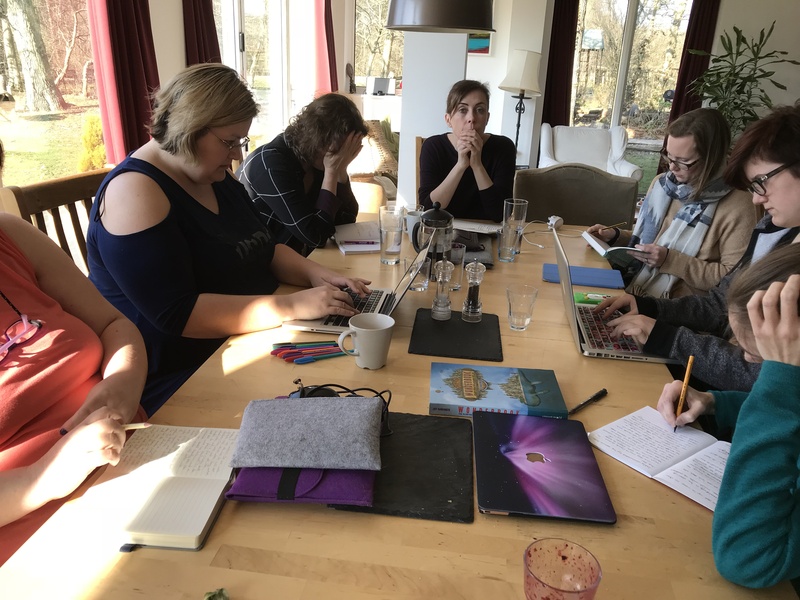 Six writers joined tutors (and Rattle Tales Directors) Alice Cuninghame and Erinna Mettler for a weekend of writing times, creative exercises and the chance to practice their read aloud skills. Rattle Tales was established five years ago by graduates from The University of Sussex MA in Creative Writing, who wanted to bring their writing to a wider audience. Since that first show Rattle Tales has grown and grown, staging sell-out events regularly at The Brunswick Pub in Hove and at Brighton Fringe, The Green Man Festival and even a show in Le Crotoy, France. Three years ago they established the (now international) Brighton Prize, the city’s only short story competition which was judged last year by Peter James. Retreaters arrived at the house, deep in the Sussex countryside, early on Friday evening. 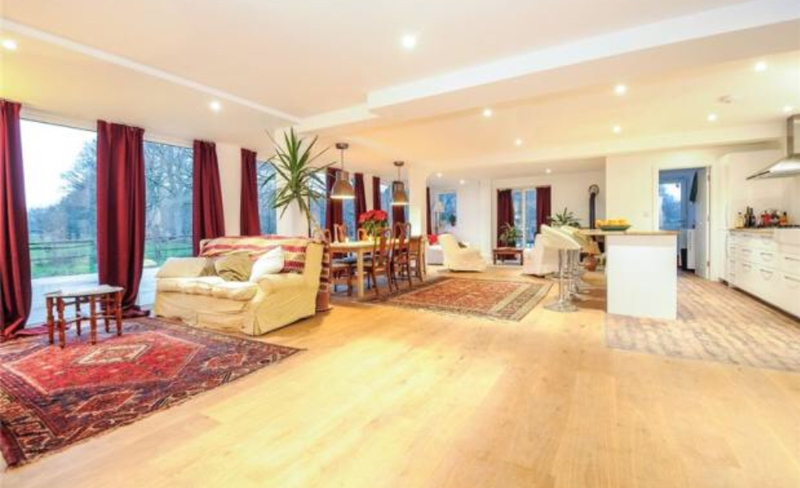 The house is a beautiful modern eco design surrounded by bluebell woods and overlooks a duck pond and a field inhabited by rabbits and hares. A herd of deer lives nearby and wanders through the wood in the early morning mists. 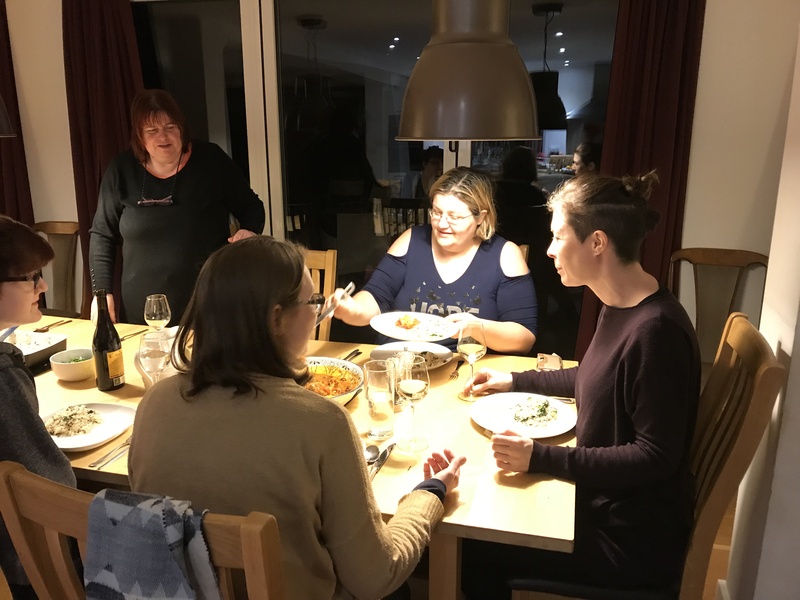 Everyone settled into their spacious bedrooms and then we had dinner cooked by our host Gilly Smith and sat around the enormous table to talk about our writing and get to know each other a bit better. The next morning, after breakfast, our day retreaters arrived and Alice and Erinna gave a talk on writing short stories and performing to an audience. 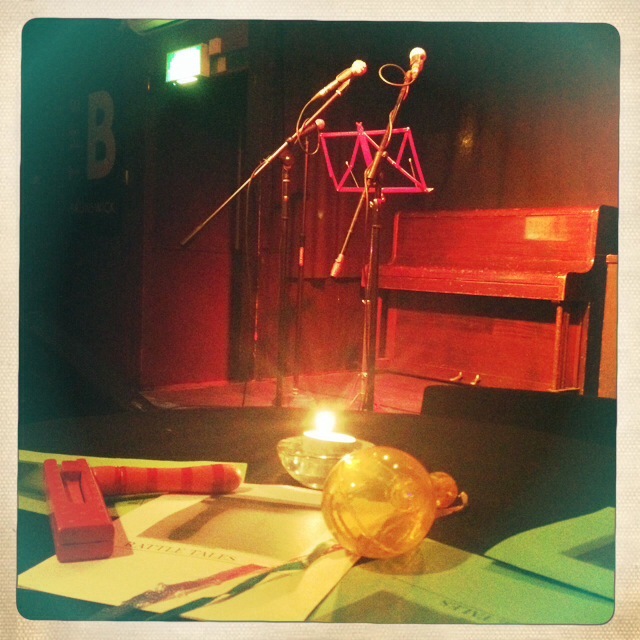 The retreat was designed to prepare writers for writing for one of our shows and for entering short story competitions. 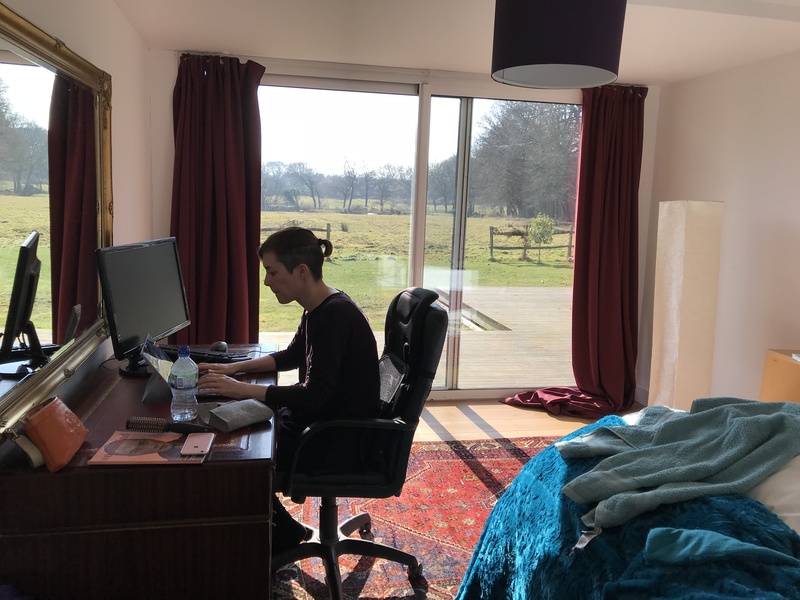 After this there was plenty of time to write and each client had a mentoring session with one or both of our tutors to discuss a previously read piece. It was cold but sunny and the birds sang in the trees. Our retreaters were free to walk around the grounds but most knuckled down and spent the time writing for the evening’s planned performance. Gilly provided delicious meals, poached salmon and salads, heavenly brownies and a baked chicken with rice. 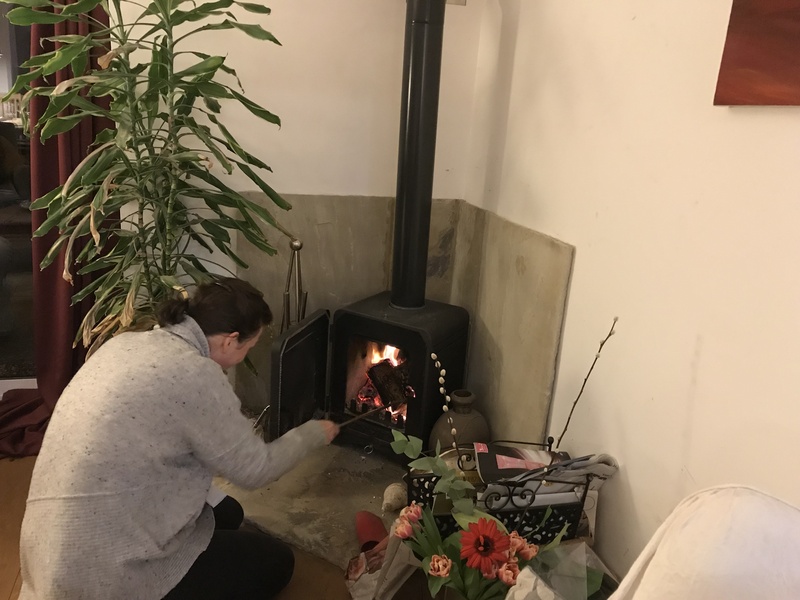 At the end of the day there was Prosecco and everyone read some of their writing around the wood burner. If it had been warmer we would have surely relocated to the bluebell wood for a campfire! We were struck by how accomplished the stories were and how diverse, we had poetry and memoir and nature writing and fully formed short stories. Each was a delight and it really felt like a performance. The next day brought creative writing exercises, further mentoring and more free writing time. Everything stopped for a long Sunday dinner. Unfortunately it was then time to say our goodbyes. The weekend had passed in a flash but we are looking forward to the next one. Time, space, support & inspiration to get creative. The house has the Wow factor! Warm & comfortable. The house was absolutely lovely. The food was amazing. The mentoring sessions were brilliant! It’s great to have such detailed feedback. The accommodation was equal to any of the posh hotels I’ve stayed in. I would describe it as first class. I liked the free-flowing exchange of ideas and writing that was made possible by the quickly established feeling of trust between diverse people. The whole experience exceeded my expectations. Rest assured I will extol Rattle Tales’ virtues to as many people as possible. Rattle Tales takes up residence in A Sussex House for a short fiction retreat. 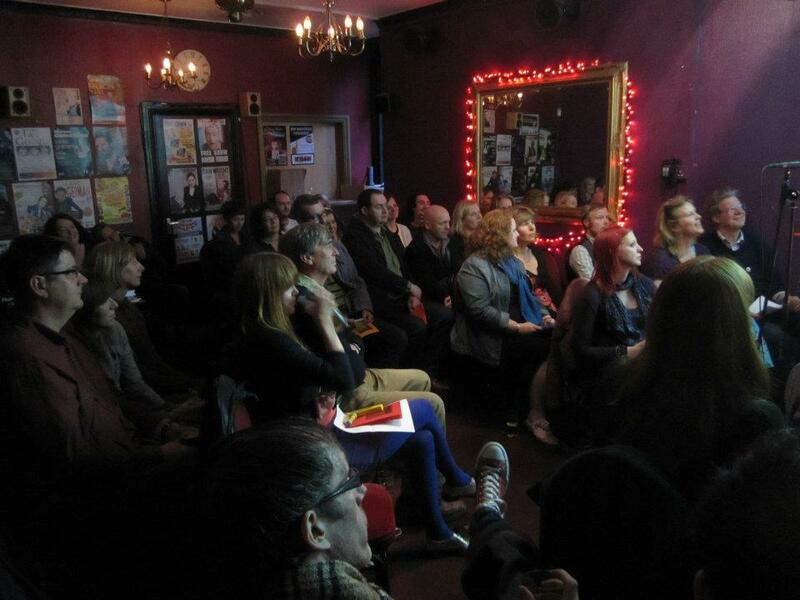 Tutors Erinna Mettler and Alice Cuninghame, will introduce you to Brighton spoken word group Rattle Tales, the dos and don’ts of writing for an audience and how to survive reading your work in public. Both directors of the newly expanded Brighton Prize for short fiction they will also look at how to make your story stand out from the crowd in competitions. There will be writing exercises, one to ones, the opportunity to share your work and plenty of time to write. Erinna is a founder and co-director of the spoken word collective Rattle Tales and the newly established Brighton Prize, the city’s only short story competition. 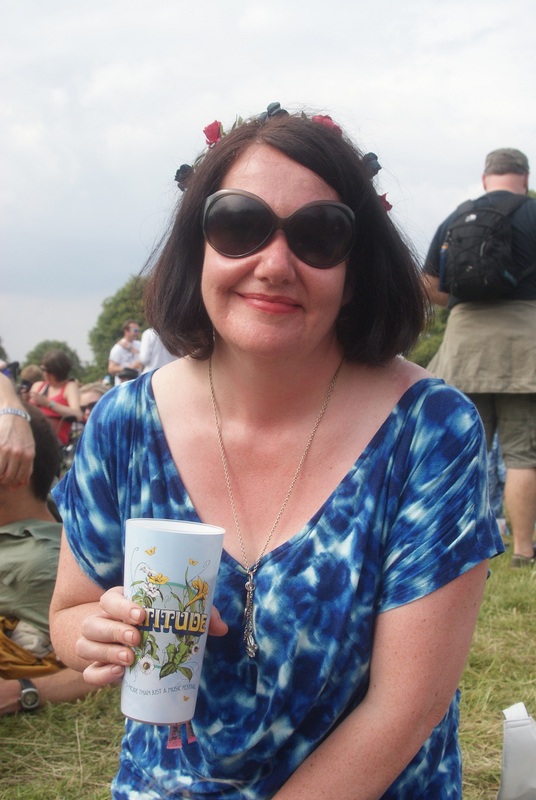 She is also an experienced tutor and mentor with an MA in Creative Writing (dist) from The University of Sussex. Erinna’s short stories have been shortlisted for The Bristol Prize and The Writers & Artists Yearbook Arvon Award. Her stories and poems have been published internationally in journals such as Riptide, Swamp and The Manchester Review. She has a special interest in writing for performance and her career highlight so far was having a story read by a Game of Thrones actor at Latitude Festival. Alice Cuninghame is a writing coach, copywriter and fiction writer. She is a graduate of the MA in Creative Writing and Authorship at Sussex University. 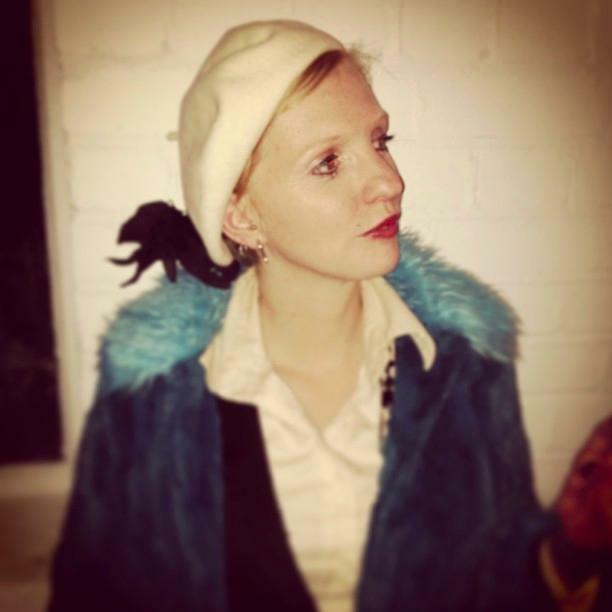 Alice is a co-founder and director of Rattle Tales, an interactive storytelling event, and is a regular performer at it. As part of Rattle Tales, she co-founded the Brighton Prize, the city’s only major literary prize. Her short stories have been published in a number of places, including Aesthetica and the Stories for Homes anthology. As a coach, Alice works with fiction and non-fiction writers from all over the world, helping them break through creative blocks, hone their skills and gain lasting satisfaction from their writing. She also runs writing and yoga retreats in Brighton. Prices include the workshop, mentoring, food and accommodation for Friday and Saturday night. Please bring your own wine! A limited number of day retreaters are invited at £150 for Saturday and Sunday including lunch on both days and dinner on Saturday. It’s taken almost ten years to get here, but this weekend, we did it. I’ve dreamed of hosting writing retreats since our pilot weekend back in 2007. Back then in another house made of glass, writers and would-be writers left their worlds behind for a weekend to start a novel or kick start the one they’d left in the drawer. They walked in our woods and, over dinner and a log burning stove, they realised that writing makes them happy. They came from Brighton, London, Southampton, Devon, and they loved what we offered them – a bit of peace, great company and a cracking feast. But the house wasn’t right; with shared land in a co-housing association, it couldn’t ever offer the exclusivity to really leave the world behind. So we moved, bought a new house and watched as it subsided into the clay of the Weald. Six years later, it’s been replaced by a brand new eco house set now in nine acres of land, including our own magical woodland. The powder-white balconies look out over meadows of peppermint cream, and this weekend, of frosted icing. And in those magical woods, you can almost hear the bluebells stretching and yawning under the mulch of midwinter before they eventually poke their heads out in Spring. But this house is not a home without writers, and on Friday night, it began to breathe as the cars rolled into the drive. Laptops were plugged into pristine white walls and beds, plumped and preened, became strewn with chapters looking for order, sentences looking for life. Corks popped and the coffee pot blew as a gaggle of strangers settled in for the weekend. Tom Connolly, author of the beautiful ‘Spider Truces’ was our first tutor, arriving on Saturday morning to share his practice, his tips and to remind the writers that it’s just about doing it. As he prodded the writers to get under the skin of their characters (‘What was the last thing she read? When was the last time he cried?’), Vicky Blunden, his editor at Myriad Editions joined him to talk about the mechanics of publishing. And as they peeled off to give one-on-one tutorials, the smells of a Middle Eastern feast, inspired by my current RadioReverb series about Brighton’ Syrian migrant community, filled the kitchen. Walking, sleeping, writing, singing… the afternoon melted into evening and a dreamwriting session before an Ottolenghi-style banquet (I wish). Sunday morning, and our midwinter retreat had been transformed into a winter wonderland. It didn’t last, but for the writers waking up and looking out over the meadow, it was a magical start to the final day. Crime-writer, William Shaw was our tutor for the morning, with lessons bursting from his pile of papers, a Latin teacher compared to Tom’s looser, more Mediterranean style, perhaps. Both brilliant, both bang on, the writers were scooping up their offerings like hens at feeding time. ‘Crime fiction is the basic story. Classic myths are no more than crime fiction – someone dies and you have to find out why’, he told us. By midday, it was time to pop a few more corks, and settle down for a moment of reflection while the chicken, boiled first in cardamon and cinnamon, Syrian style, was roasting. The writers shared their stories of writing, of character and of inspiration, while singer/songwriter Katie Whitehouse sang us the love letter to her father she’d always meant to sing to him. And I cried. As the writers packed up and drove off, quite literally into the sunset, it seemed churlish for Katie to set off for Devon and so she and writer, Jenny Quick whose book ‘Beethoven by Bike’ will be written, settled in for another night around the log burner. And as they left before dawn this morning, I know they’ll be back. A community of writers, dreamwriters, songwriters, crimewriters and poets is building here in this house that I dreamed up all those years ago. Just a little more manifesting to do to make it the retreat of my dreams, but I’ve got a feeling that there’s enough magic around these woods to make it happen.